Nursery care is available for children four and under during both our 8 a.m. and 10:30 a.m. services. We have trained adult staff running our nursery, and provide pagers to parents in case needs arise during worship. 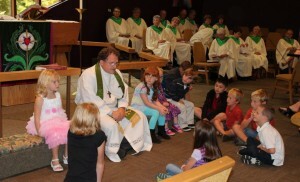 Children’s sermons are offered every Sunday at each morning service. Activity bags are available each Sunday morning, and include quiet, Bible-based activities for children to do during worship. During the school year, we offer “Children’s Church” activities during our 10:30 service. 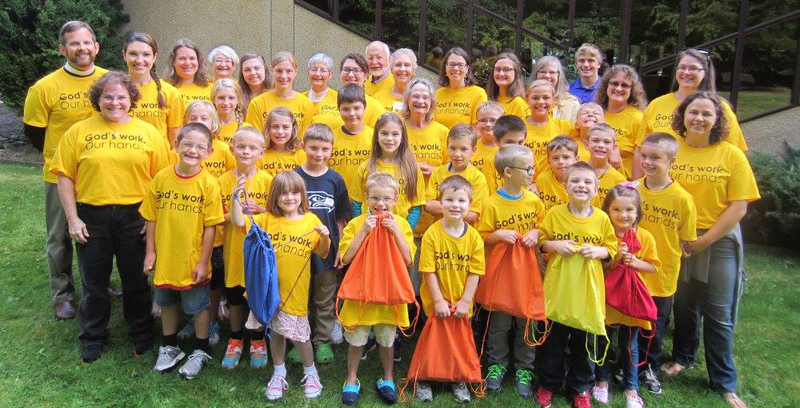 “Children’s Church” begins after the children’s sermon, when preschoolers and elementary-aged kids are invited to proceed out of the sanctuary to the fellowship hall to participate in adult-led, Bible-based activities. They are brought back to the sanctuary after the sermon, during a hymn. We have found that this ministry allows parents some quiet time during worship to focus on the sermon. For more information on children in church, pick up our pamphlet “Worshipping with Children” on the Welcome Table in the narthex.